From the multi-award-winning author of The Left Hand of Darkness and the Earthsea sequence comes this single-volume omnibus of the first three Hainish novels. Interstellar war reaches Fomalhaut II in Rocannon's World. Born out of season, a precocious young girl visits the alien city of the farborns and the false-men in Planet of Exile. In City of Illusions a stranger wondering in the forest people's woods, is found and his health restored; now the fate of two worlds rests in this stranger's hands . . . 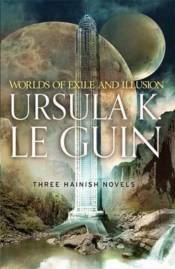 The three novels contained in this volume are the books that launched Ursula K. Le Guin's glittering career, and are set in the same universe as her Hugo and Nebula Award-winning classics, The Left Hand of Darkness and The Dispossessed.